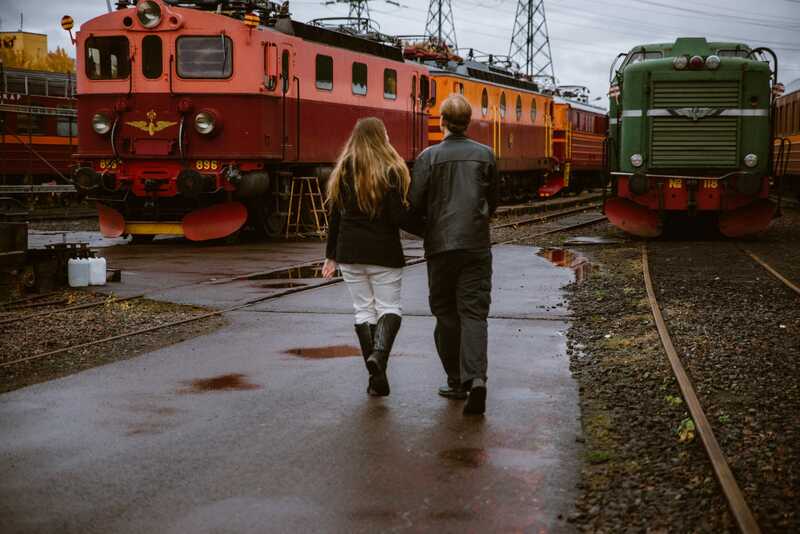 It’s not everyday that I get to shoot a portrait session at a retro train yard in Sweden’s second largest city Gothenburg. 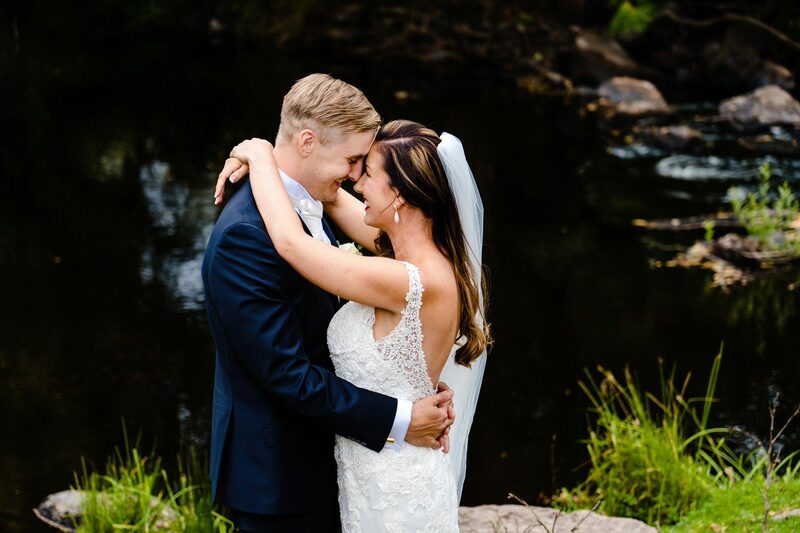 So when Renee & Kristoffer contacted me to discuss their wedding plans I was all ears. 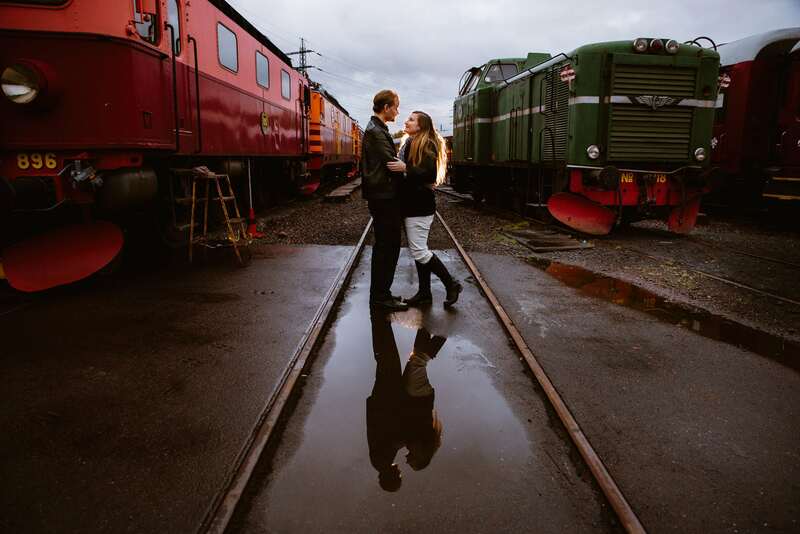 A few weeks later full of curiosity and excitement I headed to town to meet them. 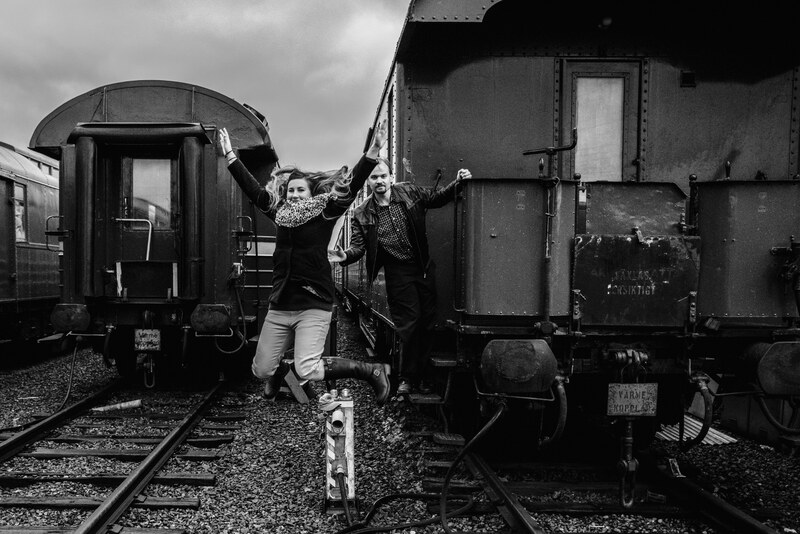 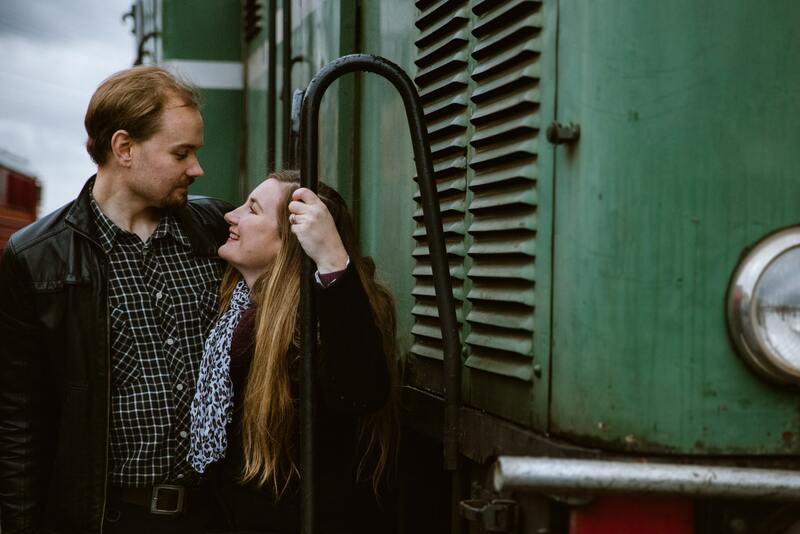 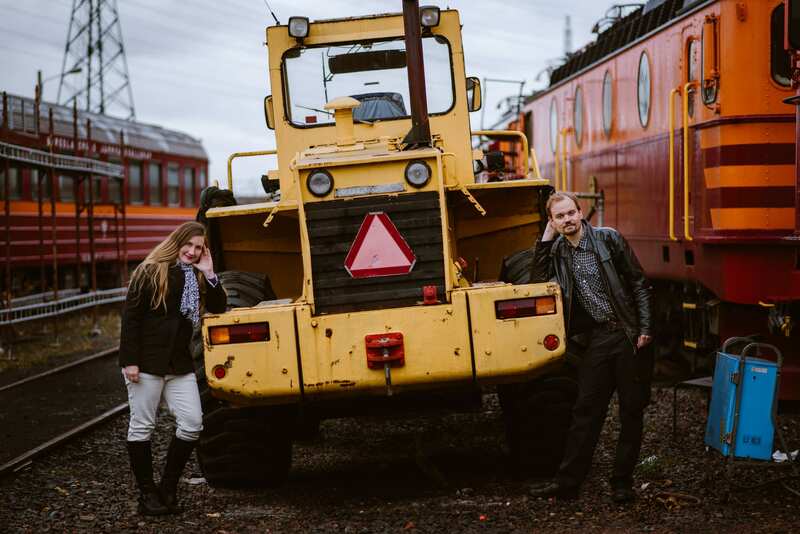 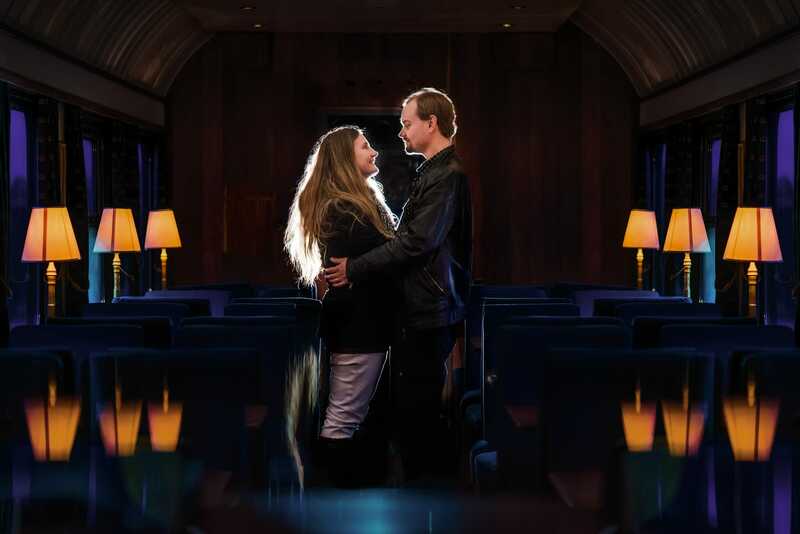 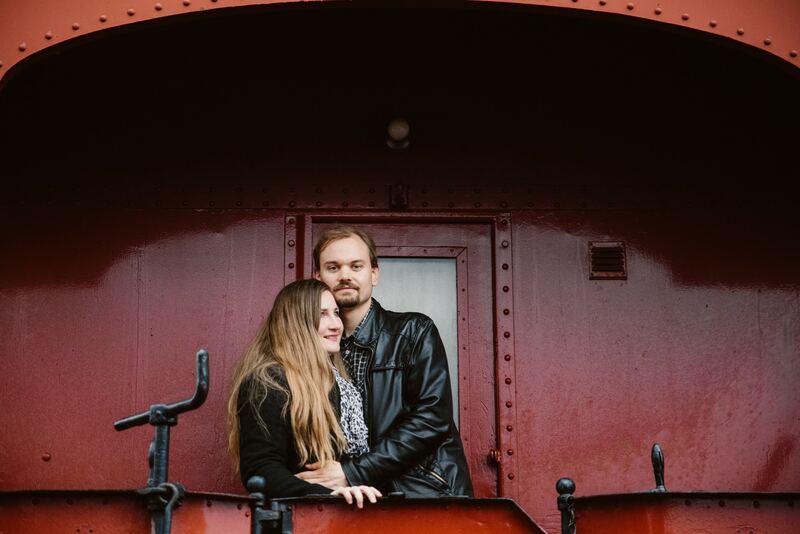 You see Renee who comes from Australia loves photography and storytelling and Kristoffer loves to restore and play with life size retro trains. 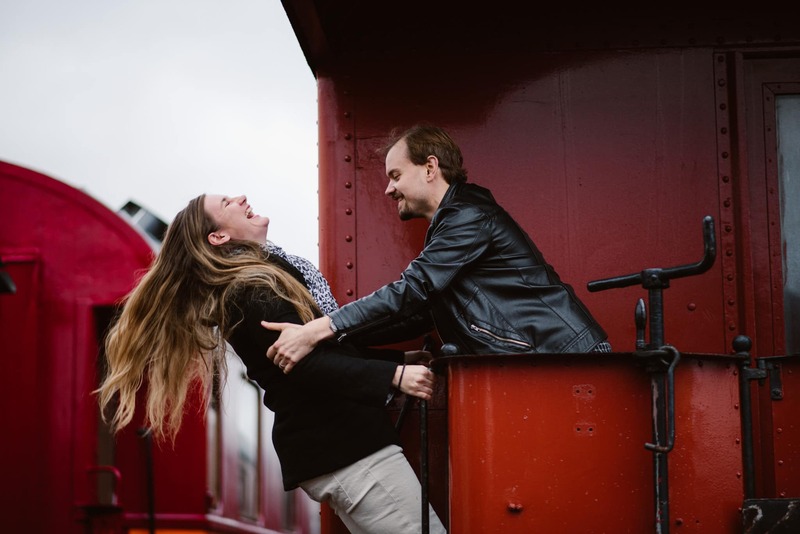 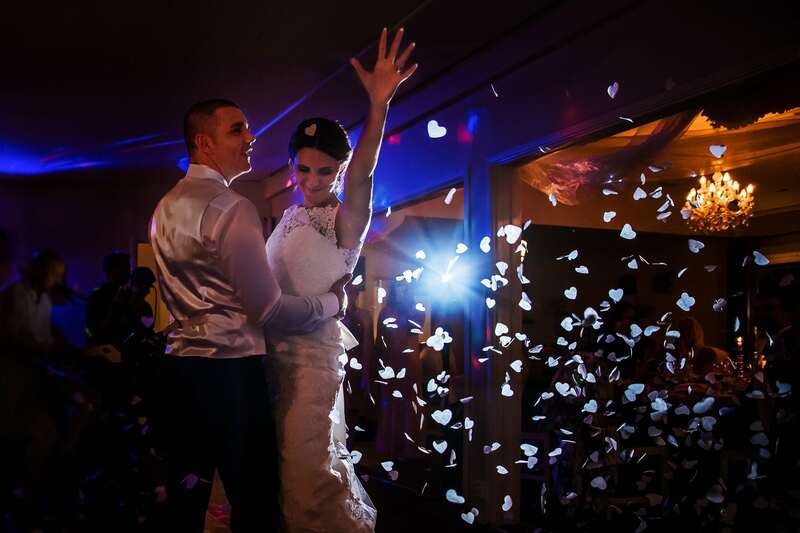 I was over the moon to be privileged enough to capture their love story. 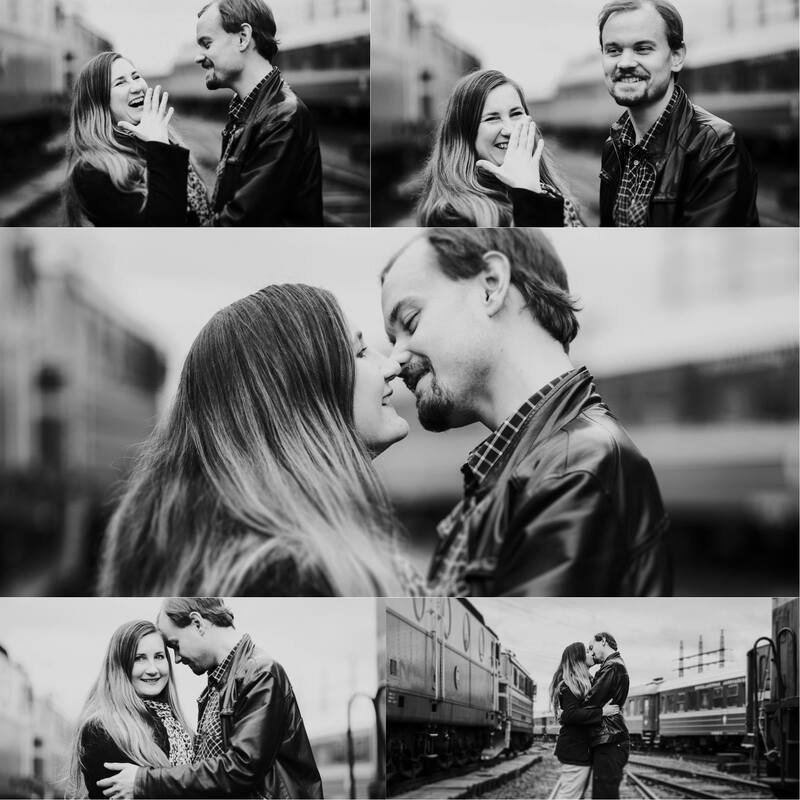 Check out the highlights from our time together and I hope you will love the photos as much as I do. 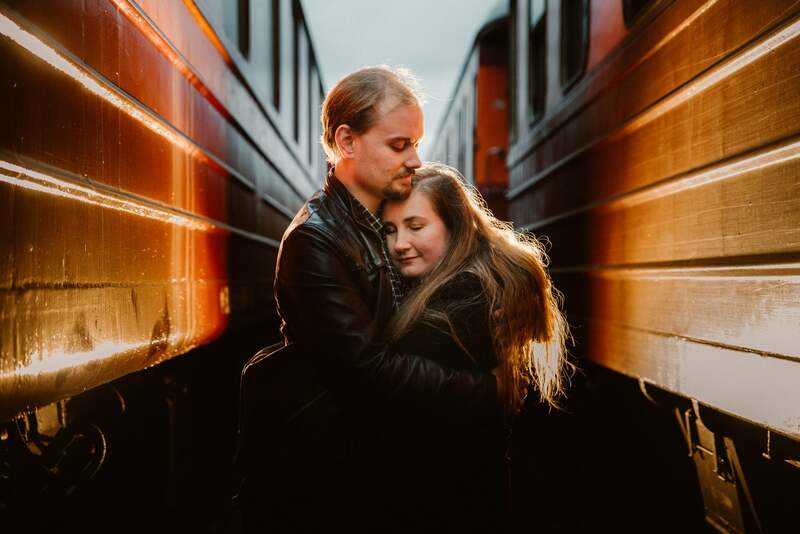 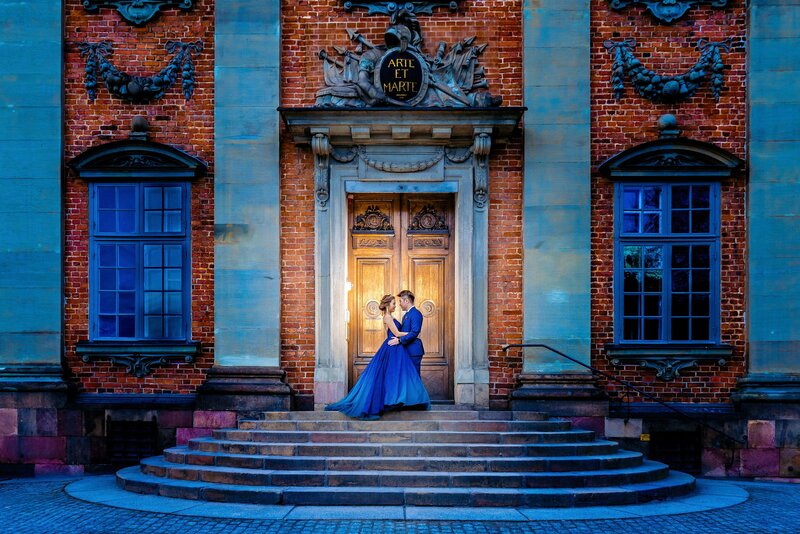 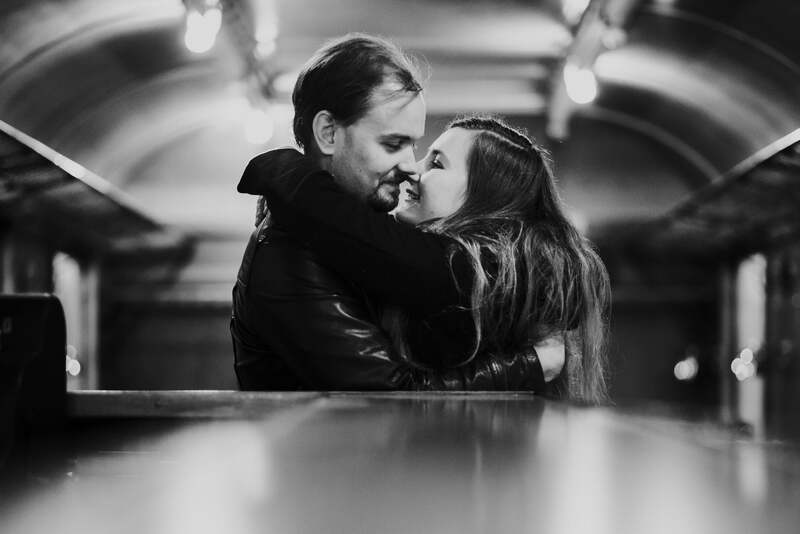 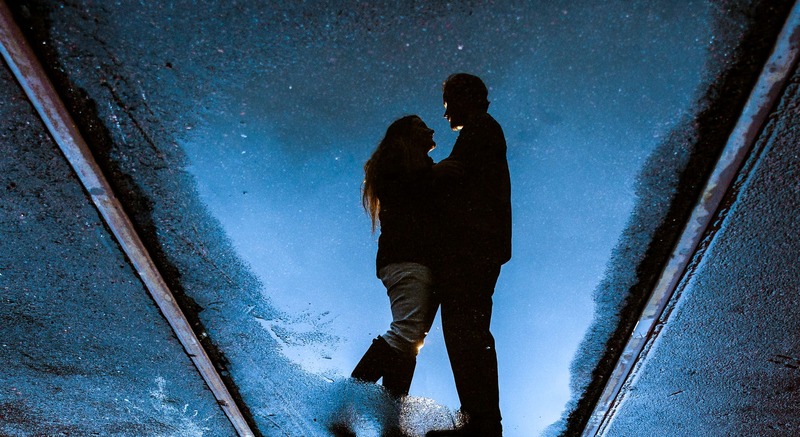 This pre-wedding portrait session quickly became one of my favourite this year!